We often think the bond between parent and child is the closest human connection there is. By virtue of the relationship, a child cannot share their parents’ entire life. Years passed before the child came into the relationship. We’ve all struggled to think of our parents as children and to know what they were like. The relationship of siblings, in my opinion, has to be the closest human connection there is. In most cases, siblings share their childhood, their DNA, their awkward teenage years, adulthood and such. They also share tragedies and life experiences that forge a relationship into the strongest bond possible. 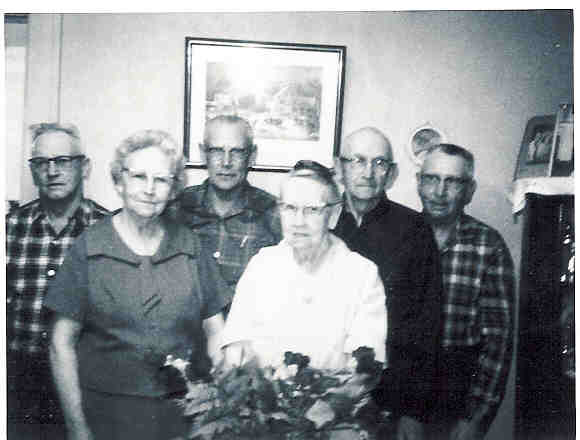 My grandmother, Jessie Eleanor Smith Yess, and her siblings always appeared to have the closest of sibling connections. She had four brothers: Frank Matthew(nicknamed Jake) Smith, Robert Wallace (nicknamed Bing) Smith, Orville Edmund (nicknamed Mike) and Merle George Smith. Poor Uncle Merle didn’t have a nickname! She also had an older sister, Blanche Vera Smith. The children of George and Emma Jane Harrison Smith. 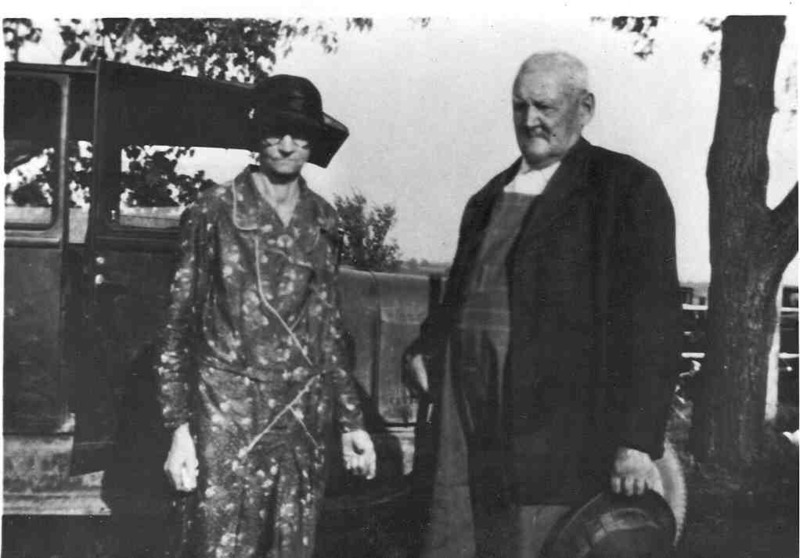 Life wasn’t easy for George Edward and Amelia Jane Harrison Smith’s children. Grandma used to share stories about how her alcoholic father would take the egg money from her mother and go to town to drink. She remembers one time when her dad chased her mom through the house with a pair of scissors trying to stab her. When the door to a room slammed shut, the scissors ended up in the wood of the door. But, Grandma also said her dad was a very nice person when he wasn’t drunk. The kids used to stay up and play cards with their dad late into the night sometimes. He had either asthma or emphysema and couldn’t breathe well. If he was sitting upright in a chair, he was fine, so card games with the kids seemed to pass the time. The close sibling relationships seemed to help the family get through these tough times on the farm in Peoria county. The siblings remained close throughout their lives. The Smith children were a perfect example of that. They played cards with each other, told stories about each other, went to church together, family reunions together, spent holidays and weekends together. They were close despite the challenging childhood they faced. They were close unto death. That family bond continues on.